The Public Utilities Commission (PUC) has approved an increase in water rates requested by Belize Water Services (BWS) Limited. The confirmation came via a press release from the PUC dated Monday April 28th and was followed by a press conference on April 29th. With the exception of Caye Caulker, water will increase countrywide by 6.9%. 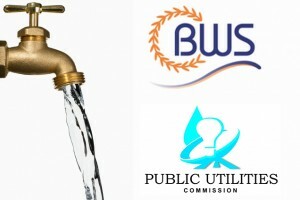 According to PUC, in December 2013, BWS applied for a water increase of 16.2% in the annual tariffs but were denied that increase and instead recommended a 6% increase. The reduction in the requested increase was triggered by a reduction in the company’s proposed capital investment. That appeal let to an adjustment in the increase up to 6.9%, still less than the 16% that BWS was asking for. The increase represents approximately 50 cents more on the water bill for local consumers. Those increases are approved across the board with the exception of Caye Caulker village, who will continue to enjoy the current water rate. Those changes are effective as of April 1st.